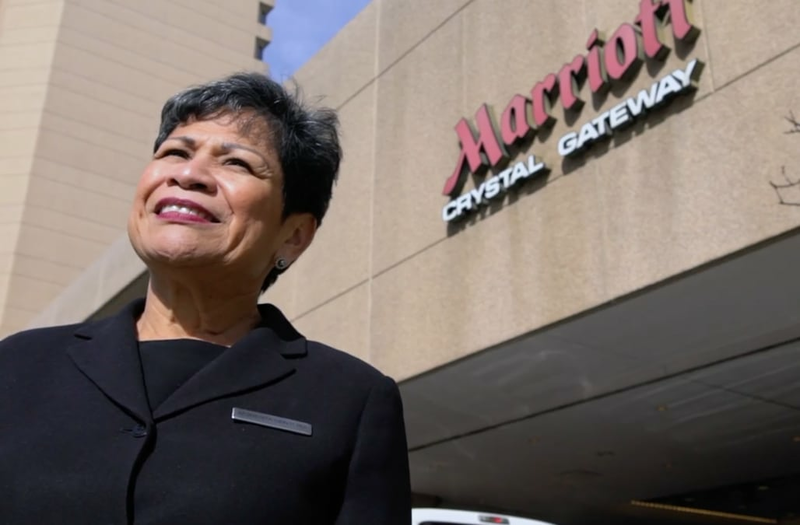 Modesta Ventura has spent the last 43 years working her way up the ladder at the Marriott in the Washington DC area. After she immigrated to the United States as a young adult, Modesta started working for the company as a waitress, with minimal knowledge of English, at one of the hotel's restaurants. More than four decades later, today she is the director of human resources operations for the Crystal Gateway Marriott. Find out more of her story in the video above.